marvelous and mysterious discoveries that had us asking many questions! The tide was low and the sea water (according to my son) was warmer than normal ....marvelous! But then he finds this lying on the beach! What is it and why is it left unprotected on the open beach? It's a large egg, about 3.5" long and slightly speckled with brown. Hmmmn ....mysterious! This fallen tree is perfect for climbing...oh about 8' in the air over the rocky beach. Right about the height that Mama's heart starts to flip flop ....marvelous! Wow, look at the all the boats in the bay! Boy that black one looks odd, we've never seen a completely black boat before. I wonder if it's a pirate ship!? Is that a canon on the side!? Are pirates real Mama, do we have them in Canada?....mysterious! Oh! wait we recognize that familiar buzzing sound! It's a female Anna's Hummingbird and now she's resting on the branch of the arbutus tree! ....marvelous! What's this?...money on the beach? We don't ever find sand dollars on our shores, so how did they get here? ...mysterious! Oh and look...are these the parents of that egg that we found on the beach? (we do believe it to be a Canada Goose egg) We put the egg exactly where my son found it so hopefully they will be reunited so they can raise their baby ....mysterious! 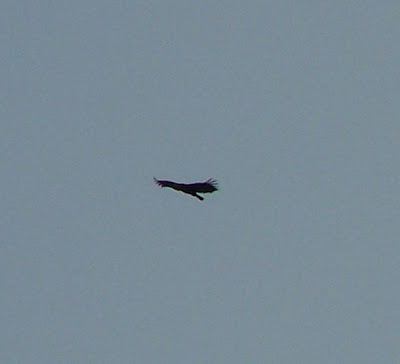 And finally when we returned home there were 4 bald eagles circling above our home. They were too young to have their white heads so it took me a few minutes with our identification guide to figure out what they could be! ....marvelous! This day was certainly full of things to marvel at and wonder about. in the mystery of nature. May you find many things that peak your interest in the same ways. What to say??? I enjoyed every single detail of the photos. Wonderful landscape and seashore. Black starfish, egg, dead sea urchin? (not sure about that) everything looks lovely as well as your boy. Thank you for stopping by! Yes the landscape here is amazing. We have many starfish and sunfish in our waters. They come in dark purple(shown), shades of red/orange/yellow, pink, and greenish/grey. When alive the sand dollars are black. I have only ever seen them alive at an Ocean Science Centre, they are commonly found on the west side of our Island, very rarely here on the east. So much to explore and learn with the children! Oooh, we never find sand dollars (alive or not) on our shores, but I'd love to find them like that some day. On another beach in another part of the world, perhaps. Currently we are absorbed with a phoebe nest on a slat under our deck. We can peek down through the slats from above to see what's going on...and what's going on is that a cowbird is laying HER eggs and taking it over. It's fascinating (although we hope at least some phoebe babies make it). Oh I was wondering how your bird watching has been going lately. What a cool spot to find a nest, and the perfect way to peek at it! I'm off to look up phoebes and cowbirds now! I love a day at the shore. Such excellent adventuring and discovering to be had. I so agree Amanda! I don't think I could ever move away from the coast. I've only been to BC once, but it is one of my favorite places ever! so lucky you are!